And the fun just continues!… it’s summer on The High Desert! Saturday July 9th… This Saturday we outdid ourselves, with not one (1), but two (2) “Arrive & Drives”! The usual Saturday drives last about 3 hours, however Roger Sanders came up with the idea of creating a second drive that would last most of the day… This allowed for us to experience roads & sights beyond our “normal” venue. From all reports this longer drive was very well received & enjoyed by those who experienced this adventure. 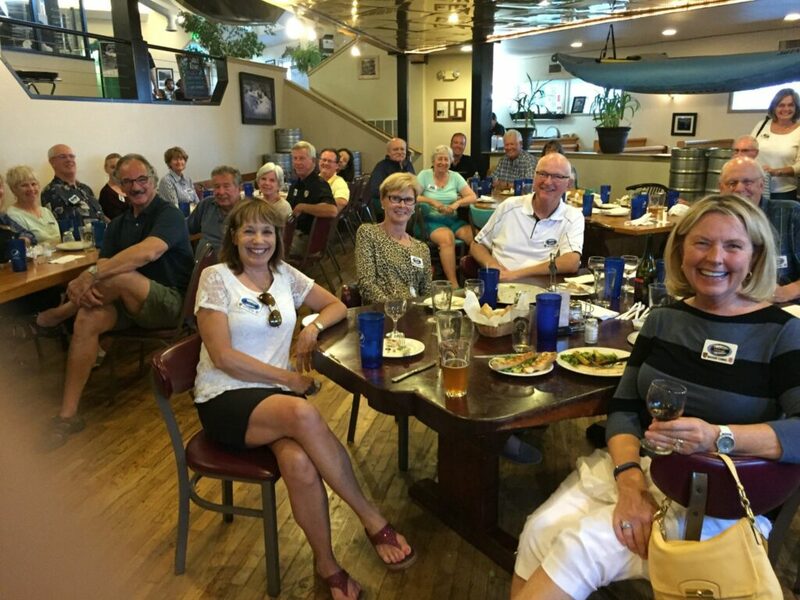 And… from all reports, the “usual” Saturday morning drive, which allows our members to exercise their Porsches, enjoy friends and have an early afternoon lunch before heading home was also a great hit! 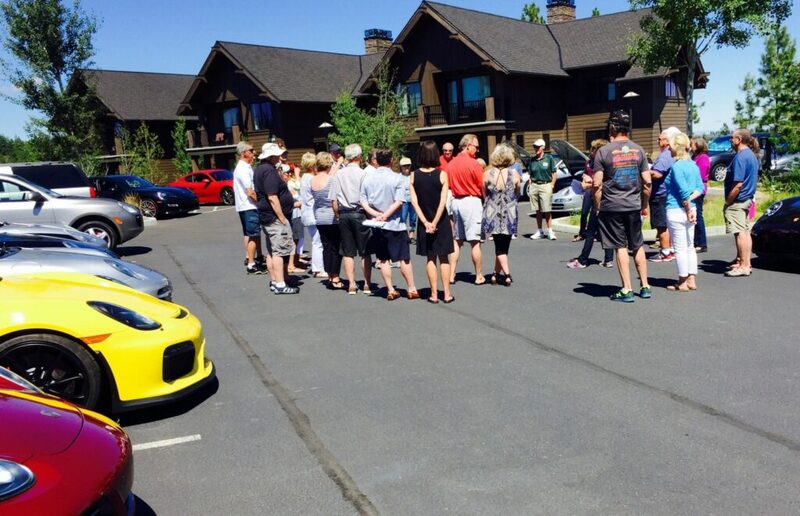 Wednesday July 20th… Once again we held out wildly popular monthly social event at Porsche of Bend (Club Carrera)! Everyone was in great spirits, and enjoyed a fantastic Tate & Tate catered buffet. Thanks to Ann Sampson & “all” others who volunteer each month to make this a success! Each month we enjoy welcoming “new” members, and getting to know each other better as we continue expanding our group of Porsche friends. 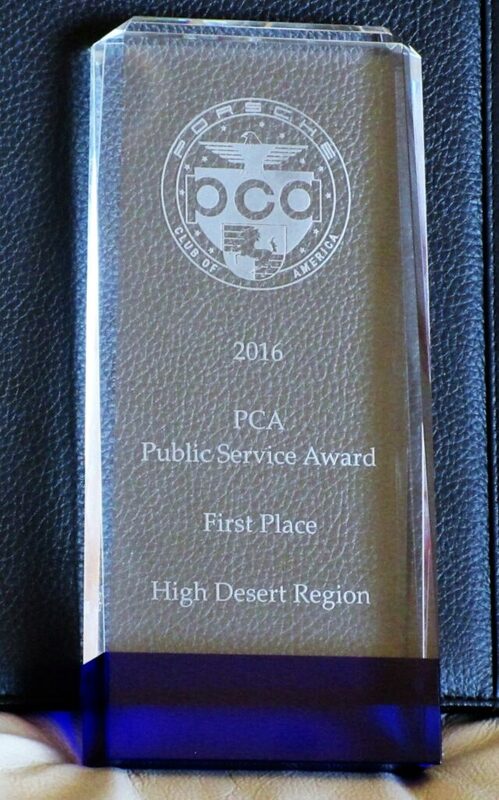 This year High Desert Region had the honor of receiving “First Place”! We were presented with a trophy and a $1500 cash award… Congratulations! My sincere thank you to “all” HDR members who volunteered their time, expertise & energy to make this special award a reality! And… even more of the smiling group! 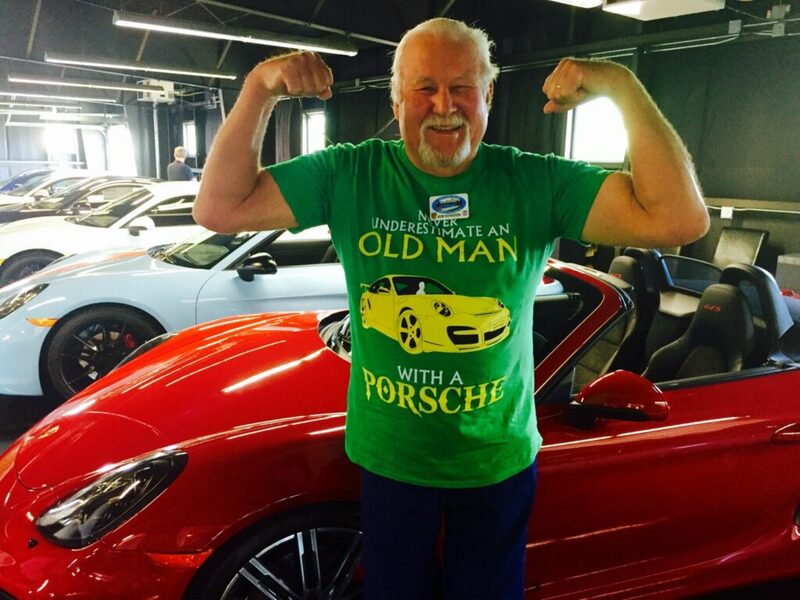 So… as we continue to move along through 2016, I “challenge” you to fit in as many 2016 High Desert Region Porsche Club events as you can find time for… Make some memories! The best way to keep up to date with our activities is to visit our website at www.highdesertpca.org Click on events, and you will be amazed by all of the things that have been planned. Saturday July 30th… We closed out the month with a Tech Session at German Master Tech… Read all about it in this month’s Downshift. Thanks Tim & Kim Morris!